At Orange Coast Orthodontics, we are a provider of clear braces throughout the Laguna Hills area. Straight teeth are important for your overall oral health. When teeth are crooked, they can become stained and infected. By straightening your teeth, we can improve your appearance and decrease your risk of getting cavities at the same time. We can also align your bite to address any issues that you may have with your jaw. Orthodontics is a comprehensive way to address any of your oral health concerns. We understand that while many adults and teenagers want to straighten their teeth, they do not want to do so in the traditional fashion. 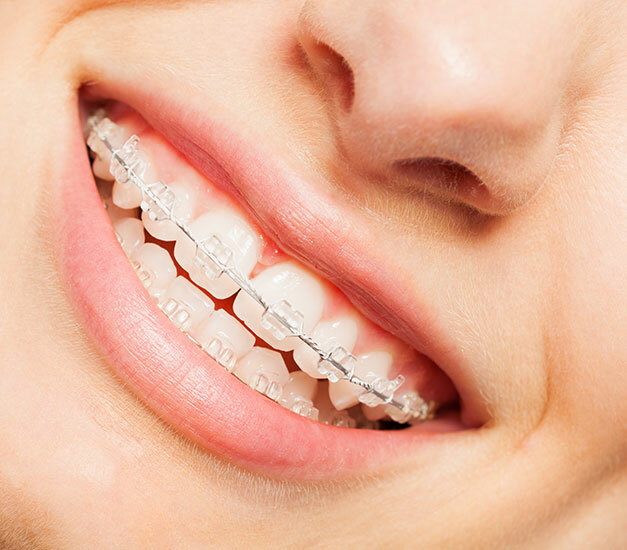 Metal braces are an effective tool for straightening teeth and have been used by orthodontists for decades. The procedure works by placing a metal bracket onto the surface of each tooth and running a wire through those brackets. It is impossible not to notice when someone is wearing traditional metal braces. While the treatment works, it can also negatively impact a person's appearance in the process. Thus, we provide clear braces as a better option for our patients. As a provider of clear braces, we are delighted to offer our patients an alternative to traditional metal braces. 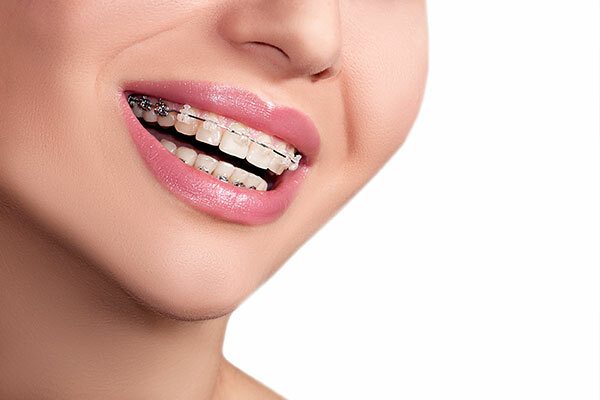 People concerned about how metal braces may impact their appearance can receive the same benefit of straight teeth without having a mouth full of metal. Clear braces have revolutionized orthodontics and opened up a world of possibilities for patients above the age of 16. This option is not a practical solution for children, but is extremely effective for older patients. Not everyone provides this option, so it is important to work with the right orthodontic office. If you live in or near Laguna Hills CA, we invite you to call (949) 860-1231 and schedule a consultation to determine if clear braces are right for you. At Orange Coast Orthodontics, we offer clear braces for adults and teens living in the local area. Dr. Bobby Ghandehari can straighten teeth and move them into the perfect position so that every patient has a beautiful, radiant and straight smile. 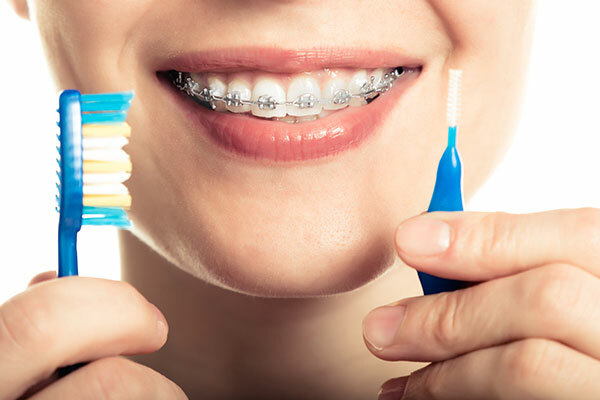 Whether you have teeth that are crooked, unsightly gaps between your teeth or a misaligned bite – clear braces can help to correct these issues.Clear braces work just as effectively as metal braces, but with some improvements. Clear braces are nearly invisible, making them ideal for busy professionals, teens, and adults that do not want this process to negatively impact their current appearance. There are several types of clear braces to choose from. One operates similarly to traditional metal braces where a bracket is placed onto each tooth, and a wire is threaded between them. 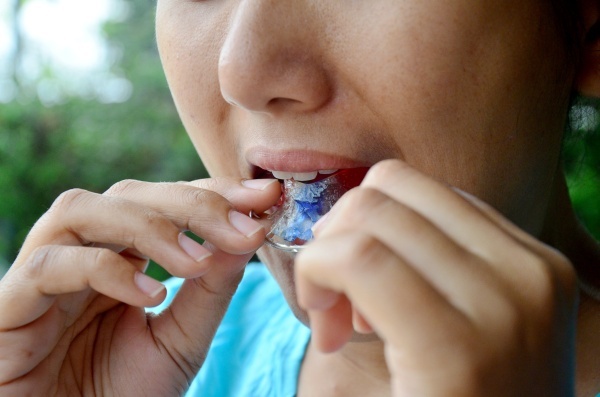 The difference is that instead of being made out of metal, the brackets are made out of tooth-colored resin that blends in with the natural tooth. Since the wire is tooth-colored, the braces themselves are virtually invisible and difficult to see. This solution works well for adults who are able to keep their braces clean. Otherwise, the brackets can become stained. The solution is an excellent alternative to traditional braces and is just as effective at addressing all orthodontic concerns. When straightening teeth with aligners, the biggest advantage is that they can be taken out. They are supposed to be worn for around twenty-two hours a day. The aligners need to be taken out when eating and brushing teeth. Since the aligners can come out, there is no need to adjust what you eat or worry about getting food stuck in between the brackets. The aligners can also be taken out while making that big presentation, having family pictures taken, getting married or any other special event. Enjoy life as you always have with aligners or clear braces. If you are interested in learning more about the process, we invite you to call 949-860-1231 and schedule an appointment with our Laguna Hills office. At our office, we treat both teens and adults with the necessary methods. Many patients are unaware that teens and adults can typically benefit from similar treatment options. Since teenagers have all of their adult teeth, it is possible to use clear braces. However, since a child’s jaw is not done growing, we typically need to use metal braces for the child. The main difference between clear aligners for teens and adults is that teens may need to use their aligners for a longer period of time. With such a busy schedule, we expect teens to remove their aligners more frequently to do things like play sports. At Orange Coast Orthodontics, we are pleased to provide patients throughout Laguna Hills with a more convenient way to straighten their teeth. To find out if clear braces are right for you, call (949) 860-1231.